Despite the opposition of the other European Countries, the Italian Government continues to receive a constant flow of illegal immigrants, who are not war refugees, from Africa through Libya, in the ports of Southern Italy: the Italian Government presents them as “migrants” who must be received and integrated in the Italian society out of humanitarian duties, denounces the crimes of the traffickers who treat them as slaves, as well as declaring to be willing to help Libya to stop them with Italian war ships. 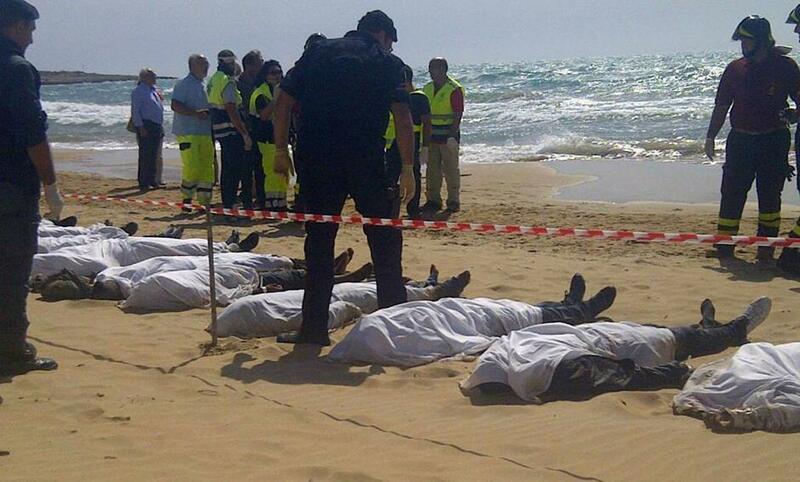 The truth is that this flow of illegal immigrants is a new trade of slaves deported from Africa, that the Italian Government is the one fuelling it, and it even uses it as an excuse to attempt extending its political and military influence over Libya, now destabilized by the civil war, and also that those Italian operations have intolerable human and strategic consequences. This new slave trade does not need visible chains, because the victims are persuaded to leave Africa by illusions of wealth in Europe, then they are robbed and dumped in the only Country that receives them without being able to integrate them: Italy, in the middle of economic and social recession, which does already have 8 million citizens living in poverty and 5 million citizens unemployed (40% among the youth) and it is already unable to take care of the war refugees from the Middle East and of immigrants from the Balkans. Therefore, in Italy, the increasing mass of African illegal immigrants becomes the most marginalized, discriminated, unprotected social underclass, and also the most exploited by politicians and criminal organizations to gain profit out of public assistance, to fuel the illegal trades of unreported employment (especially in agriculture), of prostitution, of drug dealing (1 out of 3 inmates in Italian prisons is an illegal immigrant), and also to increase the votes of racist political movements. The shift of many illegal immigrants from Africa to Europe through Libya and Italy is an evident, international humanitarian emergency. However, it is also a strategic emergency that worsens the structural and military crisis situations of both the Euro-Mediterranean and the African area. For instance, it weakens the economic, social, and political structures of the Countries of origin, transit, and arrival of the “migrants” and it does also put their human rights in conflict with the rights of the residents also, when it comes to Italy, it provides it excuses to interfere in the civil war that affects Libya, its former colony (1912-1947), by promising military helps that increase the internal and external conflicts of Libyan factions. Human trafficking is itself subject to the basic rules of trade based on supply and demand. However, this traffic of men, women, and children through the Sahara and the Mediterranean is not driven by demand. It is driven by the deceptive promise of the Italian Government to supply them with mass social and economic integration, which, as a matter of fact, is impossible both in Italy and in Europe. Indeed, it is this illusory hope to drive the victims and their families to cope with the prices, dangers, and sufferances of illegal travels organized by modern-day, unscrupulous slave traders. Therefore, the main liabilities for this slave traffic as well as for the crimes committed by the traffickers against their victims fall on the very same Italian Government that brags to support those victims, calling other Governments our of their alleged “cynicism”, but it does also fall on Italian politicians and intellectuals who support it in such operations. And, especially, on the ambiguous and compromised Italian Democratic Party, the “Partito Democratico – PD” that, since 2013, leads Italian Governments that were not elected by the people. It is evident that the international right and duty of humanitarian intervention does not revolve on just rescuing and helping the African victims of slave traders that are gathered in Libya and transported to Italy. It does also, and at the same time, revolve on taking the steps needed to end this new slave trade as soon as possible, since it is an increasing strategic threat as well. However, international military missions are not necessary to end it. 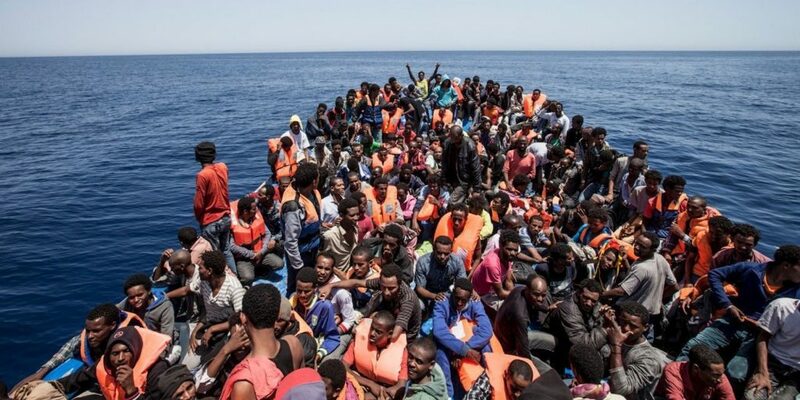 All it takes is preventing the Italian Government from continuing the criminal and hypocrite activities that fuel this human traffic from Africa in the name of humanitarianism by promising the victims impossible integrations, that ultimately turn into economic slavery in hostile environments. Because the serious problems of the African folks can be solved by helping them fraternally to build their own prosper life in their Countries.